If you’re looking for really great Microsoft Excel VBA training you’re in the right place. Companies large and small choose us – why? Your own tailored, Microsoft Excel VBA training course, at your own premises at the same price as a standard course from elsewhere. Our Microsoft Excel VBA training courses London, are available not only in London, but Surrey, Middlesex, Richmond, Twickenham, Hounslow, Brentford, Putney, Wimbledon, Staines, Egham, Feltham, Reading, Kingston, Croydon, Epsom, Woking, Redhill, Ascot, Bracknell, Heathrow, Banstead, Farnham, High Wycombe, Surbiton, Leatherhead, Crawley, Sutton, St Albans, Fulham , Ealing, Watford – in fact anywhere within the Home Counties and M25 corridor. We have Microsoft Excel VBA trainers in Twickenham, Richmond, Central London, Ilford, St Albans, Crowthorne, Little Torrington, Taunton, Glasgow and Littlehampton! If you are based within 30 miles of any of these locations we would not charge travel expenses for the trainer. We can still provide Microsoft Excel VBA training courses outside these areas but would then need to charge for the travel expenses of the Excel VBA trainer. The course is of two days' duration. However, a one day course outline can be provided on request. 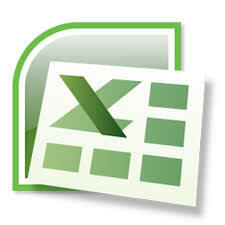 Familiarity with the Windows environment, and a good knowledge of Excel. Prior attendance of the Advanced Excel course would be an advantage. We provide Microsoft Excel training courses, Microsoft Office training courses, other IT training courses and Personal Development training courses in London, Richmond, Twickenham, Kingston, Hounslow, Brentford, Putney, Kingston, Wimbledon, Walton-on-Thames, Chiswick, Teddington, Hampton, Feltham, Acton, Ealing, Heathrow, Egham, Staines, Hanwell, Sunbury, Hammersmith, Fulham, Greenford, Clapham, Chertsey, Woking, Weybridge, Wandsworth, Middlesex, Surrey, the M25 corridor, High Wycombe and beyond. We will travel further if expenses are covered.